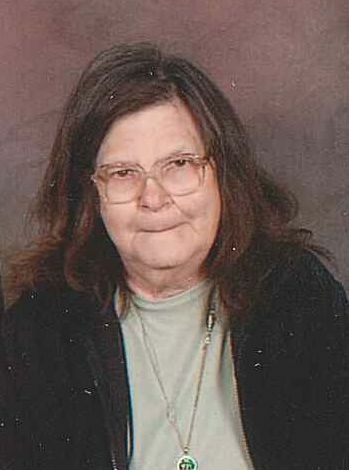 Graveside services for Ruby “Margaret” Hunter, 74, of Wills Point, TX, are scheduled for 11:00 AM, Saturday, December 1, 2018, at Myrtle Springs Cemetery. Services are under the direction of Hiett’s LyBrand Funeral Home in Wills Point. Ruby Margaret Martin was born August 31, 1944, in Dallas, TX, to parents, John Edwin Martin and Laura Mae Baker. She was raised in Dallas where she attended school. Margaret married Tommy Hunter on October 15, 1972, in Arlington. She and Tommy bought a place in 1982, in Euless where they made their home until moving to Wills Point in 2001. Margaret was a member of the Cana Baptist Church. She loved good food and casinos. She is preceded in death by her parents, Jack and Laura Richardson; step-mother, Louise Martin; son, William Terry Howard and daughter, Jeanette Stimmel; twin daughters; step-brother, Bruce Key, Sr. and her beloved dog Hank, who passed the day after Margaret. Margaret is survived by her husband, Tommy Hunter; father, John Martin; daughters, Anita Clark and husband Rex, Melanie Holifield and husband Steve, and Annette Robinson and boyfriend Ramon “Ray” Rios; son, Jerry Merritt and wife Susan and son-in-law David Stimmel; sisters, Lois Houser and husband David, Cindy Sims and husband Jerry, and Laura Leigh Richardson; brothers, John Wesley Martin and wife Linda, Jessy Martin and wife Tami and Johnny Martin and wife Lisa; step-brother, Jack Key; step-sister, Darlene Lair; step-sister, Carolyn; step-brother, Arnold Key; step-brother, Timmy Martin; step-sister, Madaline Hall; sixteen grandchildren, fourteen great grandchildren and a multitude in nieces and nephews. Visitation will be held from 6:00-8:00 PM, Friday, November 30, 2018, at Hiett’s LyBrand Funeral Home in Wills Point.